Readers, I have the most amazing news! Little Green Dot has been handpicked by SingTel to be a partner in their new iPad app, NewsLoop, which offers curated news and lifestyle stories from more than 150 international media sources, online magazines and lifestyle blogs. This means that we can spread our message even further! 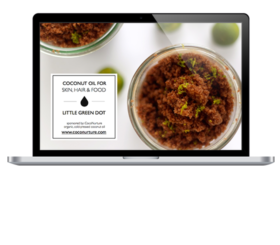 Little Green Dot started simply as a directory, as a way to find eco-friendly shops and products in Singapore. But as my own personal journey into natural living took off, so did Little Green Dot. Thank you so much for joining me in this journey! Let’s show everyone how empowering green living feels! Choose to not settle for toxic products made by people without our best interests at heart. Choose to buy products made by people who create with great passion and respect. Seek them out. And don’t be afraid to get your hands messy sometimes, and make things yourselves! So, if you’re new to Little Green Dot and want to start living a greener lifestyle here’s a great start. 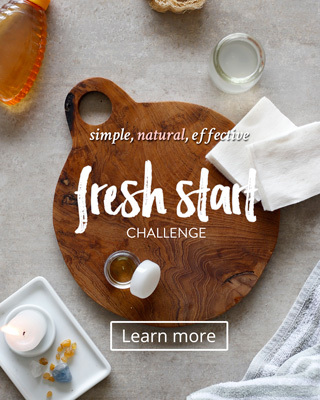 Begin by making something simple and good for you. Something healthy to eat, something to nurture your skin, or a gift to share with a friend. Enjoy the process of choosing beautiful and pure ingredients, feel grateful for what nature provides and have fun creating! Thanks again to SingTel for making us part of NewsLoop! Happy days! p.s. – If you like to learn by getting more hands on, check out my workshops at Green Living, where we learn recipes, tips and tricks for living a more natural and green lifestyle!